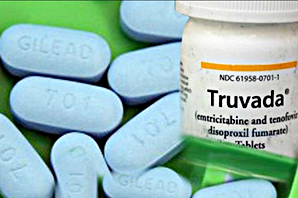 Truvada, is a one-a-day pill has been found to be roughly as effective as condoms in reducing the risk of contracting HIV. But the high cost of the drug $8,000 to $14,000 a year is out of many people’s price range, even with insurance. Michael Weinstein, president of the AIDS Healthcare Foundation, has set off a firestorm in th HIV and gay community claiming that the drug is a “public health disaster in the making.” despite the fact that Truvada is heartily supported by the Centers for Disease Control and the World Health Organization. Since the beginning of the epidemic until 2010 a total of 28,793 San Francisco residents have been diagnosed with AIDS and 19,341 reported AIDS deaths in the city alone. AIDS AIDS Healthcare Foundation Centers for Disease Control How To Survive A Plague Michael Weinstein Peter Staley San Francisco Truvada Truveda World Health Organization.